A landmarked Lincoln Heights church known for its contributions to the Chicano Movement just won a hefty $150,000 windfall to help pay for much-needed maintenance. 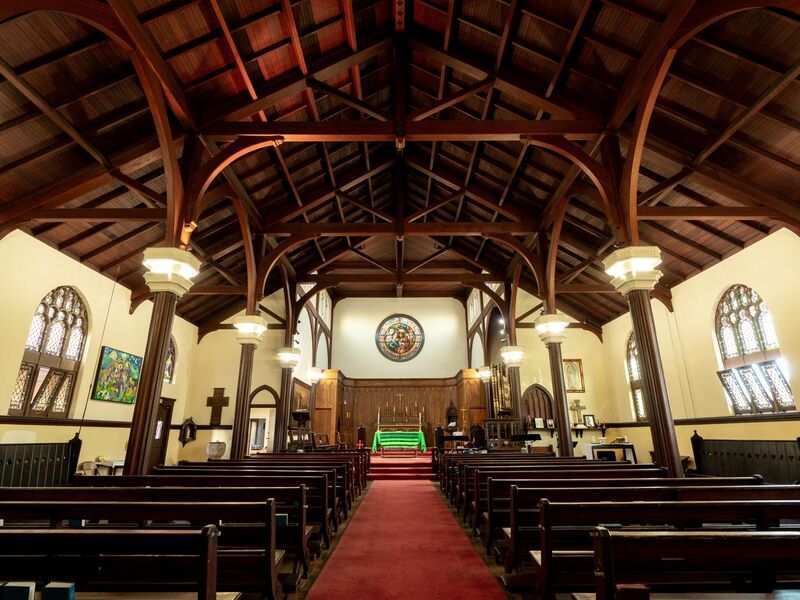 The Church of the Epiphany was one of 11 sites nationwide selected to receive preservation funding from Partners in Preservation, a team of the National Trust for Preservation and American Express. In total, $1.6 million was awarded for the preservation of a handful of sites. Father Tom Carey, church vicar, said church officials and members were grateful for the “outpouring” of support their campaign received. With the grant, “the church will be able to continue its vital social justice activism on behalf of the Latino community and provide important services,” he said. The Church of the Epiphany was a former safe haven during the Chicano Movement in the 1960s and a hub for the local community. The building at Altura and Sichel dates to the 1880s. But it was the 1960s that brought the church to the forefront. Gathering of supporters of Raul Ruiz for 48th Assembly District special election, 1971. 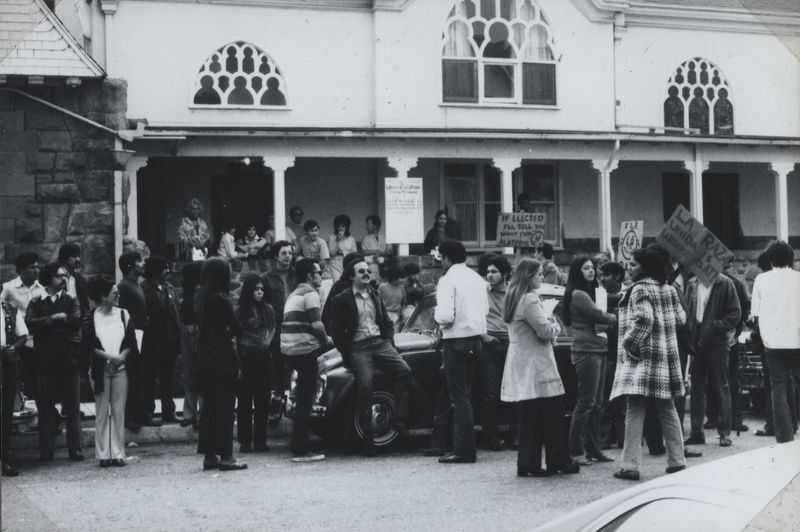 The Los Angeles base for United Farm Workers, César Chavez gave speeches at the church, and it served as a hub of organizing for the Chicano Movement in the 1960s and ’70s. The building was a center of operations for organizers of the East LA walkouts and the Chicano Moratorium protests against the Vietnam War. The church carries on as a bastion of social justice and community aid, hosting regular health care clinics and events where legal resources are provided for residents who are facing eviction and immigration issues. The repairs that will be funded by this unexpected boon are part of an ongoing fundraising effort to help pay for additional improvements to the building. 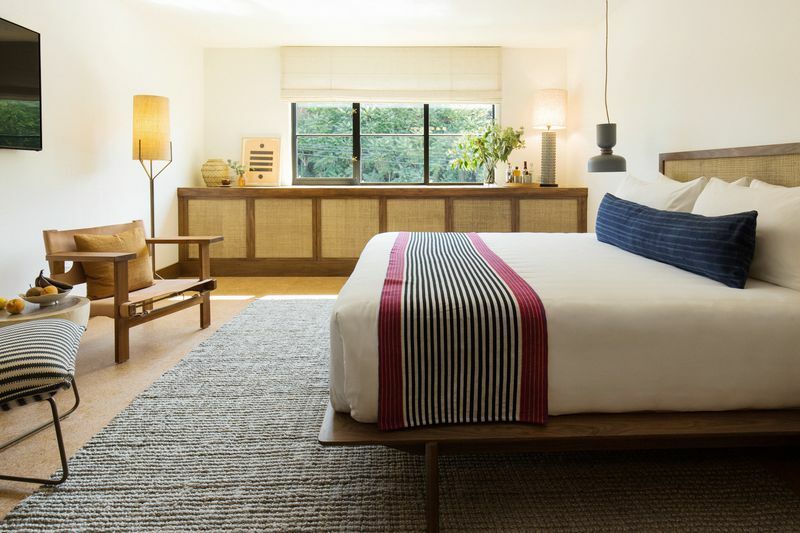 Palisociety, the parent group of Palihotels and Palihouses, announced Thursday that it has joined with developer Timberlane Partners to open the Silver Lake Pool and Inn, a new 54-room boutique hotel next to Sunset Junction. The hotel is expected to open in late spring 2019. 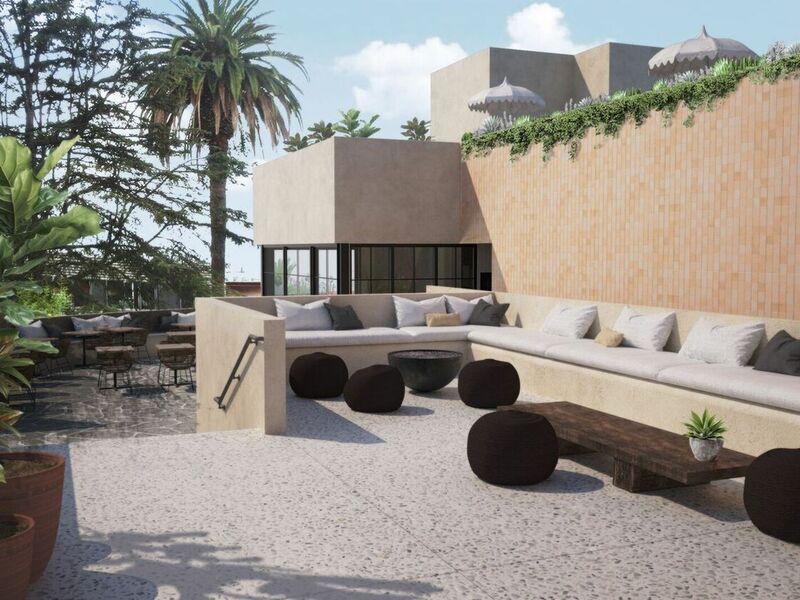 The inn will feature an elevated pool deck as well as a “coastal Italian” restaurant “designed with travelers and Silver Lake locals in mind,” says an announcement from the hoteliers. 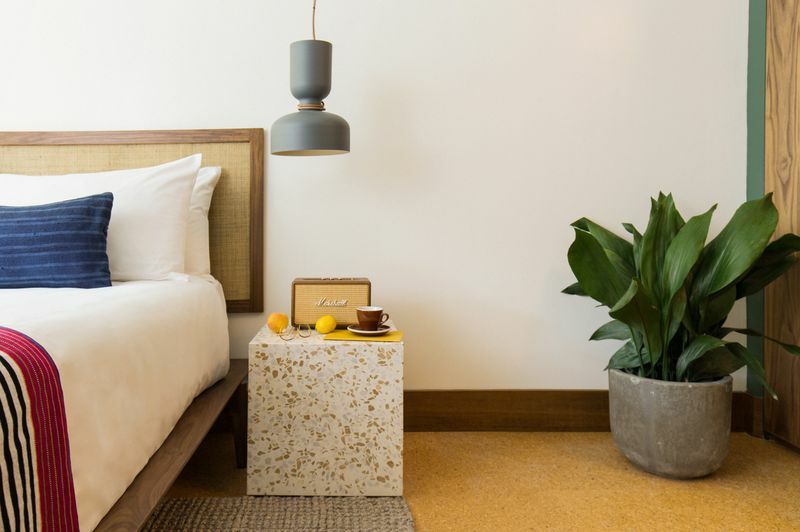 Interiors incorporate vintage leather furnishings, wood and stone details, and in-room plants, aiming for a “discerning, distinctly Californian” feel. Developers hired Venice-based design and architectural studio Electric Bowery to update the property. Palisociety operates Palihouses in West Hollywood and Santa Monica, and is anticipating the openings of Palihotels in Culver City and Westwood Village by the end of the year, according to the company’s website. Timberlane Partners was featured in a 2015 Bloomberg article about how to convert drab, normal apartment buildings into hip, millennial-geared spaces. 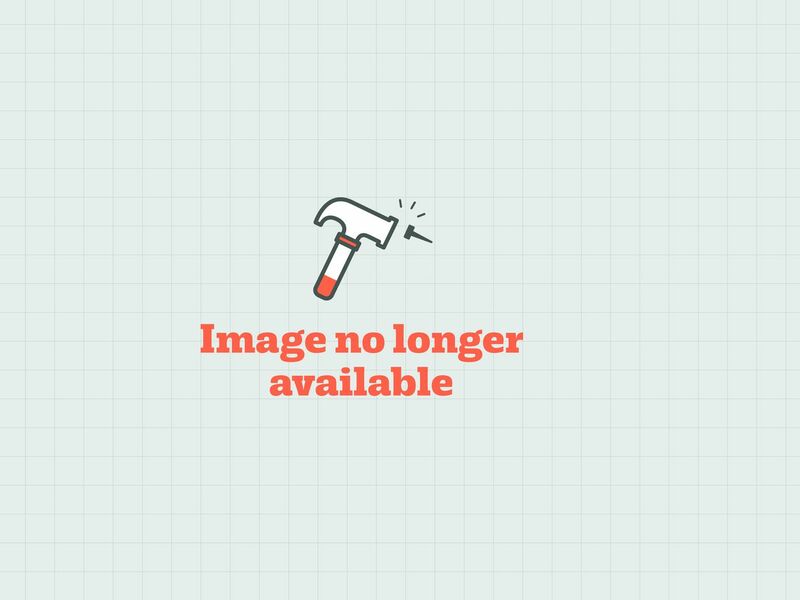 According to Timberlane’s website, the firm has recently completed work on properties in Echo Park and East Hollywood. The hotel building was built in the 1980s as a motel. It was called the Sunshine City Apartments and used as studio apartments up until the end of last year. At that time, residents were paid to relocate, the Eastsider LA reported. It’s not clear how many of the studios were occupied at that time. Three games into the World Series, and the Dodgers are still alive. The Boys in Blue will play game No. 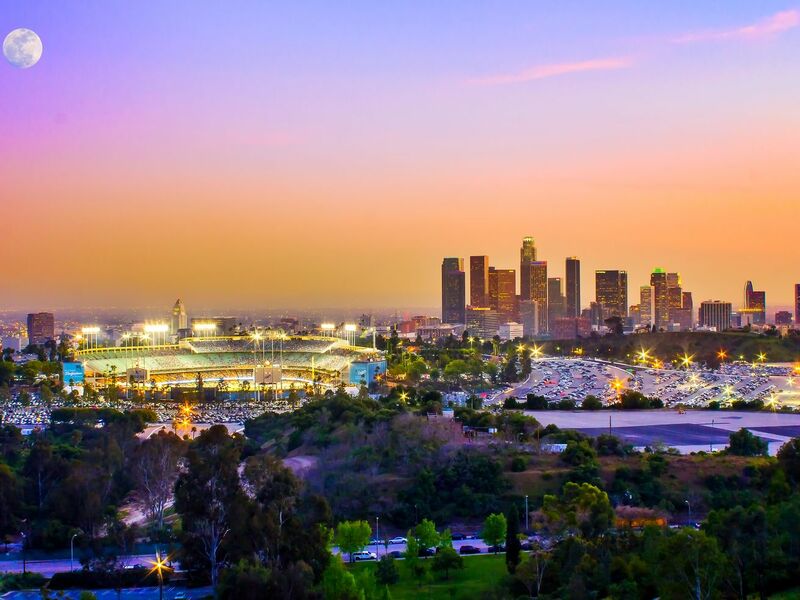 4 tonight at Dodger Stadium, their second home game in the series against the Boston Red Sox. Dodger fans wanting to get a seat for this round of home games are going to need to open their wallets, but tickets are far less pricey than they were for the Dodgers’ 2017 appearance in the World Series. Those looking to score a seat to Saturday’s or Sunday’s games won’t have to fork over four digits to get into the stadium. The Dodgers website directs would-be ticket buyers to StubHub, where the cheapest tickets for Saturday’s game were in the Top Deck for $392. Ticket website VividSeats can shave a few bucks off that price, offering $381 tickets for Top Deck seats. “The demand we are seeing this year at the World Series is about what you can anticipate from a team that is appearing in its second series in a row—the marketplace is leveling out,” says Brian O’Malley, head of partnerships and business development for StubHub. The fact that the Dodgers are going into game four with just one win is likely good news for those hoping to snag a ticket on a budget. 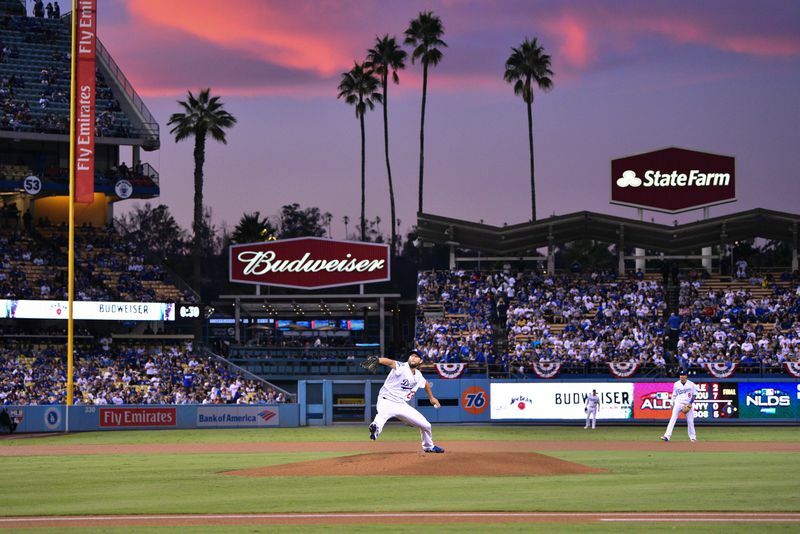 O’Malley noted that the average price that fans are paying to attend the game is “staying steady,” meaning Dodger fans are still interested in seeing how the series plays out. If the Dodgers win the next two games, games six and seven will be played in Boston. Those first two games? Just warmups. Tonight is the real deal. Back at home. On our own turf. Under our own cloudless sky. In our way-cooler stadium. Our stadium rules. Which would you rather play in? 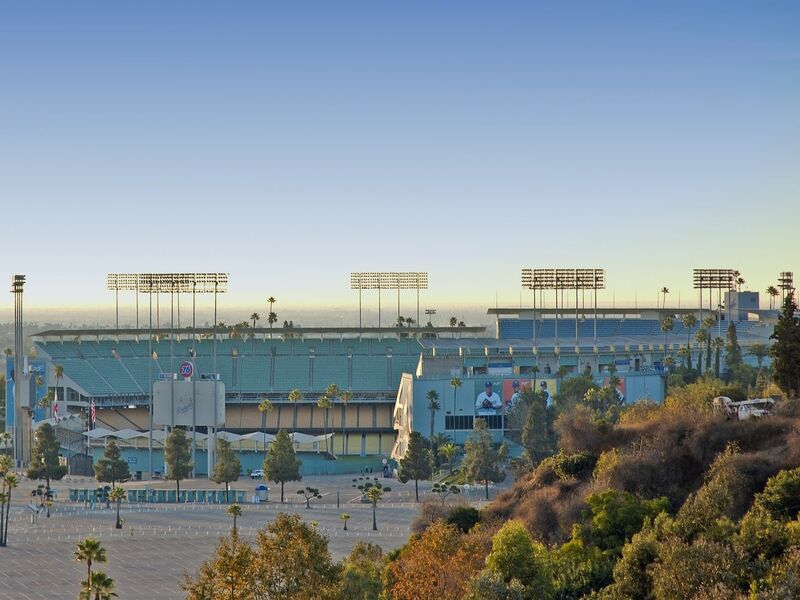 A grand midcentury icon that’s been deemed baseball’s most beautiful since its 1962 opening day—or an aging century-old relic that almost got demolished. So what if there was a rainbow over Fenway? We have sunsets. Every night. Our big dig beats their Big Dig. Does Elon Musk want to tunnel to Fenway Park? Dodgers got their name from streetcars. What the hell are “sox,” again? Metro’s smack-talking is the best in the country. At least Milwaukee played along. Not a peep from Boston’s transit agency. It will be 82 degrees and sunny during the first pitch tonight. In Boston? The opener saw rain almost delay the game and temperatures during Game 2 were near freezing. Boston has a Green Monster. We grow green monsters. When you shout “Beat LA” it sounds like you’re shouting “Be LA.” Which we know everyone wants to. How can one house contain so many pretty things? This handsome midcentury modern residence sits on a hill near the Silver Lake Reservoir, and appears to have the stamp of approval of comedian Kristen Wiig—the owner of the house, Variety reports. Built in 1952 and designed by architect Albert Martin, the house holds three bedrooms, fireplaces, floor-to-ceiling windows, and original features like hand-painted tiles and decorative window screens. Exquisite cedar ceilings and custom cement-tile floors run throughout the house, and the bathroom is bedecked with Heath tiles. The property has been renovated and expanded upon. It holds a new screening room, a contemporary pool house, and a new multi-purpose space with “an expansive guest property, studio and sauna,” the listing says. Recent renovations and additions to the house were done by The Archers and Taalman Architecture. A deck wraps around the house, and the backyard has a spa and pool. There’s a reservoir view from the patio where the pool is installed. When it comes to houses, the Ghostbusters star and SNL alumnus sure has a type. Wiig owns a midcentury Case Study House in Pasadena, and sold off her midcentury modern in Franklin Hills last year. The Silver Lake property is listed for $5.125 million. Here’s a sun-splashed Tudor-style in Atwater Village that’s walking distance to shops and restaurants on Glendale Boulevard, as well as the LA River. Built in 1928, the home features cathedral ceilings, picture windows, and a master suite with a walk-in closet and French doors that lead to a rear yard peppered with trees and plenty of space for gardens and al fresco dining. The dwelling, which measures 1,412 square feet, holds an additional bedroom, full bathroom, and a “bedroom/den” with a “powder room.” There’s also a dining room, laundry room, and an updated but simple kitchen with pretty blue tile and cork floors. The property holds a detached garage that has been “artfully converted” into a studio or office. Last sold in 2005 for $549,000, it’s now on the market for $1.099 million. Los Angeles County voters could have an easier time getting to the polls on election day, as Metro will offer free rides on its trains and buses. The transit agency’s board of directors unanimously approved a plan today to eliminate fares for riders on November 6. According to Metro spokesperson Rick Jager, lost revenue on election day is expected to amount to roughly $600,000. As the motion calling for the free rides notes, voter turnout in LA County’s primary elections in June was just 28 percent. 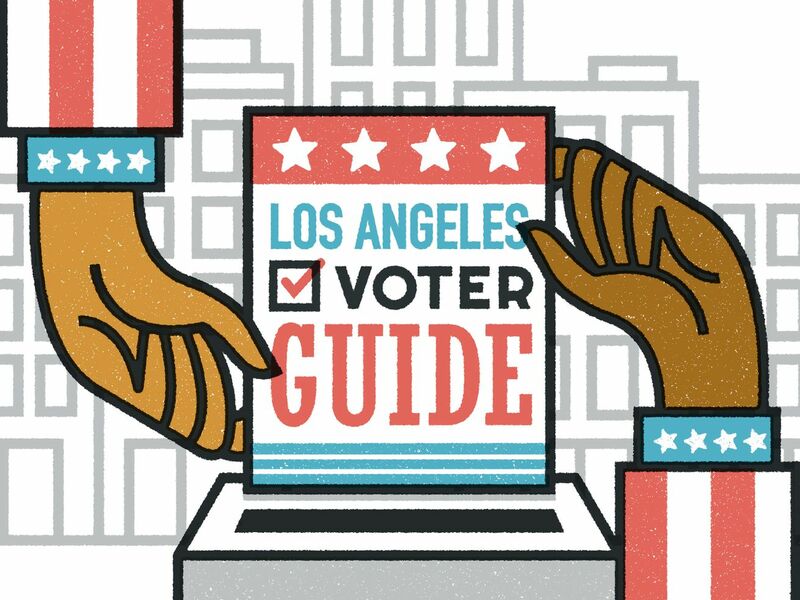 Garcetti argued Thursday that making it easier for Angelenos to get to the polls would help boost those numbers, citing research from the Massachusetts Institute of Technology that found transportation problems were a deterring factor for more than half of non-voters in California’s 2016 elections. 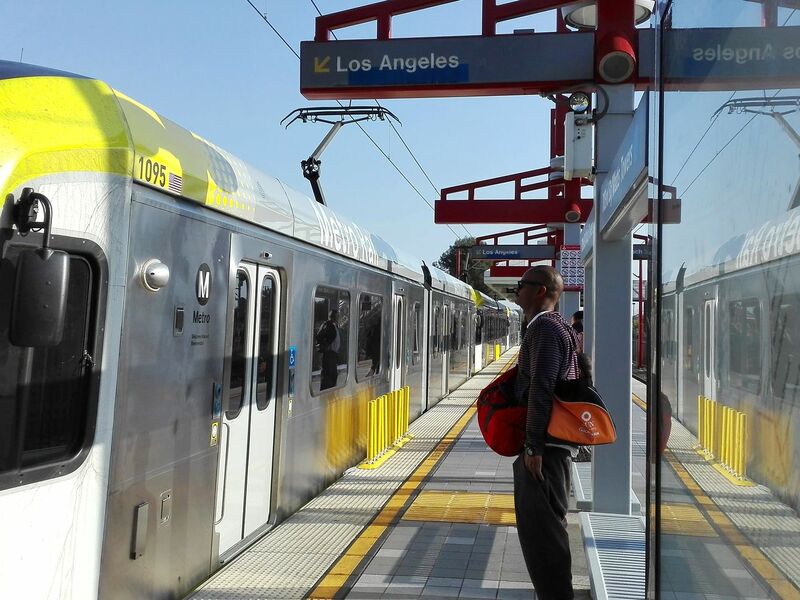 “A lack of transportation should never stand between a voter and the polls,” Garcetti said. Other local transit agencies are also considering free rides, including the Los Angeles Department of Transportation (which operates DASH buses), Foothill Transit, the Antelope Valley Transit Authority, and Santa Clarita Transit. Ride hailing companies Uber and Lyft will also offer discounted rides for voters across the Los Angeles area on election day. Correction: An earlier version of this story incorrectly stated that four other local transit agencies would offer free rides on election day. In fact, these decisions have not yet been finalized. 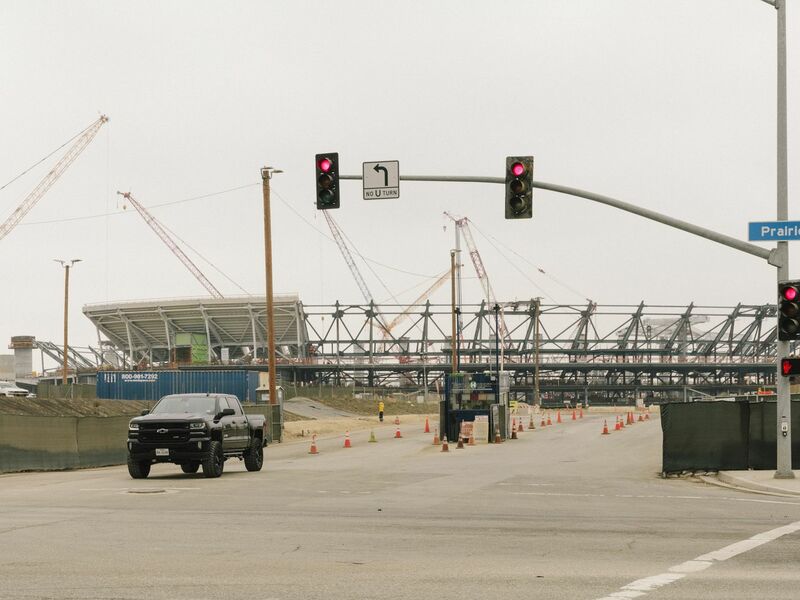 With the impending arrival of a Metro train, the most expensive NFL stadium in history, and a massive retail and housing development that will rise around the flashy venue, Inglewood is among one of the most dramatically changing neighborhoods in Los Angeles. Mayor since 2011, James Butts, a retired police chief, has shepherded many of those changes. As the Daily Breeze and Los Angeles Times have reported: Butts’ colleagues on the Inglewood City Council rarely if ever dissent from his plans for Inglewood. And the changes don’t stop there. Butts and other city officials are negotiating with the Clippers to build an NBA near the future home of the Los Angeles Rams and Chargers. These additions, Butts says, aren’t just about making Inglewood a destination. But Butts is up for re-election on November 6, and he faces challenges from four residents vying for the post. It’s an influential gig. Inglewood’s charter defines the mayor as the city’s “chief executive,” and there’s a sizable salary to match: Butts collected $111,303 last year, plus benefits). One of the candidates, Marc Little, has a formidable amount of money to spend on his campaign. 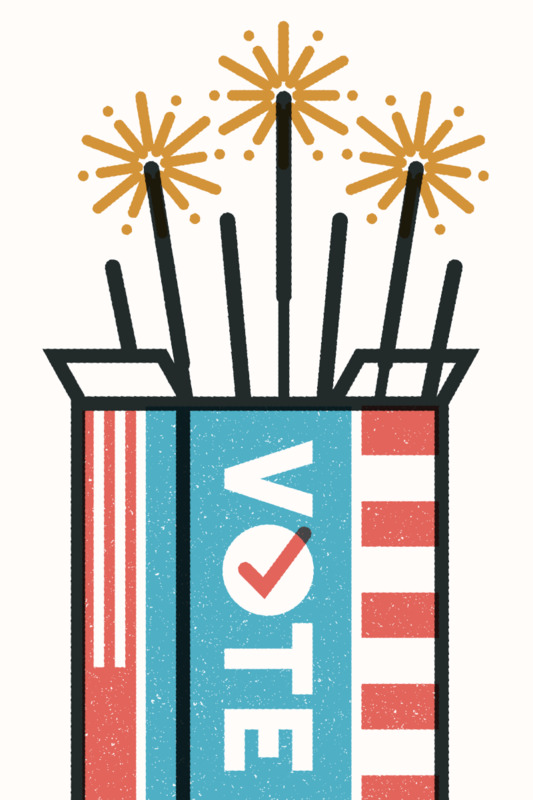 Campaign finance disclosure forms show the attorney has amassed $686,500 in donations, a small fortune in a race for elected office in a city with a population of 110,600. The bulk of those campaign contributions comes from Madison Square Garden, owner of the entertainment venue The Forum. In March, MSG sued Butts, accusing him and other city officials of pressuring the company to back out of a lease agreement for 15 acres of land and secretly negotiating with the Clippers to build the NBA arena there. Earlier this month, the LA Times reported that Butts paid $680,000 for an Inglewood home owned by the mother of a public affairs consultant who routinely works for the city, including on the NFL and Clippers projects. Ethical questions aside, what’s bound to be top of mind for many residents in this election is the skyrocketing cost of housing and displacement. As developer interest in Inglewood climbs, so do real estate prices. Here, the mayoral candidates answer six questions about the impact of development on Inglewood and the city’s affordability problem. The responses have been fact-checked and edited for length and clarity. What is the most pressing issue facing Inglewood? Housing, school conditions, street paving, crime, drugs, safety, transportation, healthcare and homelessness. How do you plan to extend the economic benefits of the new NFL stadium to Inglewood residents? This has to be decided by the residents of Inglewood. By looking into the taxation system and what is allocated to the city and where it is spent. Some residents oppose building a Clippers arena in Inglewood, claiming the stadium will further escalate the cost of housing in the area. Mayor James Butts, on the other hand, says it would make Inglewood a destination. Do you support bringing a NBA arena in Inglewood? No. If it is going to cause problems for the Inglewood residents, only the Inglewood residents can decide that. We keep forgetting that the mayor is elected by people and he has to follow what the people ask him to do. The city is promoting large-scale development projects that will bring new business to Inglewood. What solutions do you propose to keep long-standing, small businesses in the area? Again this the decision of the residents of Inglewood, not the city only. Inglewood rents have increased by about 37 percent since 2012. The median rent for a one-bedroom is now $2,600, according to Zillow, making rent unaffordable for Inglewood’s low-income residents. What’s your plan to drive down the cost of renting in Inglewood? Is rent control an option? To try to build affordable housing for the poor people. I have many ideas which will be put in effect if I become mayor. One example is to use federal or state land to build with help from the Department of Housing and Urban Development, the Federal Housing Administration, and the Department of Veteran Affairs. The state Department of Housing and Community Development says Inglewood needs to add 567 units of housing affordable to residents earning very low to moderate incomes by 2021. Since 2013, none of these units have been built in the city. How would you create more affordable housing in the city? This is the same answer I just gave above. By using federal or state land or private donors to build affordable housing. Like in Europe, with subsidizing the rent in the beginning. Also to figure out what we as a city can do to assist the school district in returning to our local school board’s control. I intend to work with the state senator and our assembly people to pass a bill to forgive the $55 million loan that was made to the district based upon the anticipated property tax [revenue] that will be generated by the Clippers project. 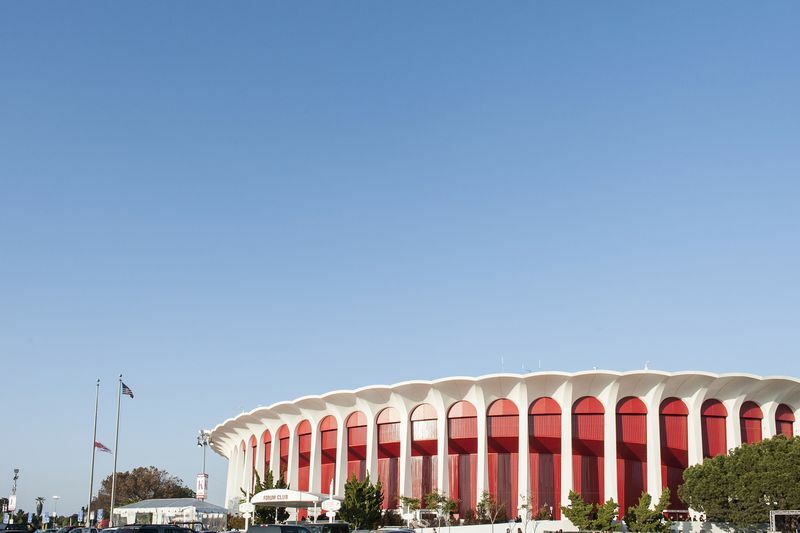 Madison Square Garden, owner of The Forum, has sued Mayor James Butts and the city of Inglewood. There will be [thousands of construction and permanent] jobs created from the time this process started for seven years out. And we also have a hard-to-hire provision for people that have been incarcerated, served their time, and are seeking employment. Right now we have a 40 or 50 people working with the iron workers that are making $50 to $90 an hour with benefits working on the project now. 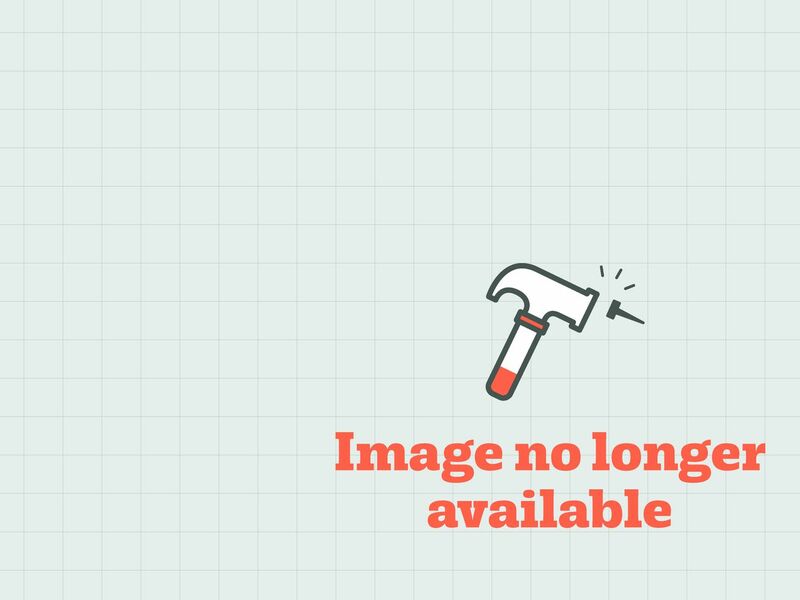 So these jobs, although they are defined durations, they provide the incumbents with the skill set to continue on with the companies as the companies move to other jobs. So these are not entry-level jobs, these are good-paying construction jobs that allow residents to gain skills that they did not have before to continue on with employment. There are only two community groups, IRATE and Uplift Inglewood, that oppose the Clippers arena. [Note: Two community groups have filed lawsuits over the project.] The voices against the arena are minuscule compared to our population. Inglewood has always lagged behind neighboring cities and the county in property value bounce back. Since the end of 2012, property values have gone up about 125 percent. We are proud that the residents of Inglewood are finally receiving the same benefits from owning their property that residents do in other parts of the county. The stadium entertainment district itself will contain businesses and is bordered by Crenshaw and Century boulevards and Pincay and 11th avenues, so it’s going to have a certain genre of businesses that are there that are compatible with high-scale sports entertainment. We’re still going to have Market Street, which is going to be across from the new Metro station. 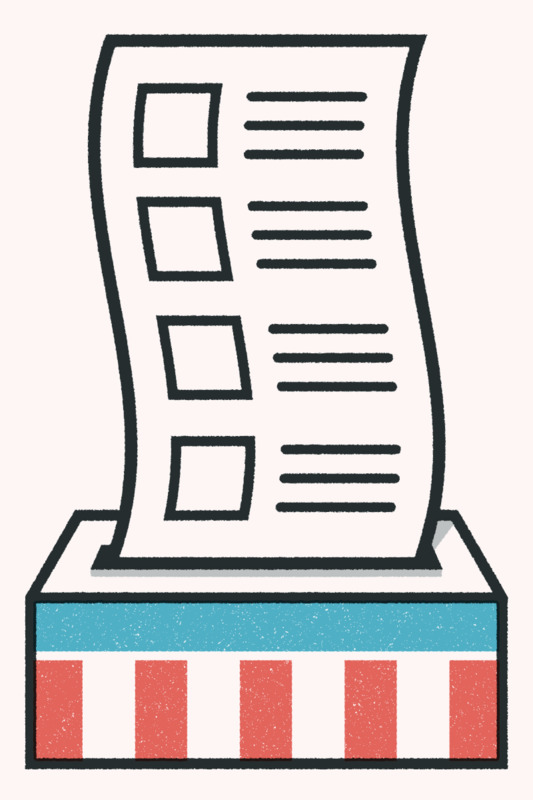 There was an attempt to get an initiative on the ballot for rent control, but they did not garner the signatures required. I support landlords getting a fair return for their properties, but not gouging tenants. I would support rent control where it’s proven that one investor or investors are buying properties with the sole purpose of evacuating tenants and raising rents. But I would totally support rent control if we receive evidence that investors are coming and just clearing out properties. We’re not going to tolerate that. The state Department of Housing and Community Development says Inglewood needs to add 567 units of housing affordable to residents earning very low to moderate incomes by 2021. Since 2013, none of these units have been built in the city at all. How would you create more affordable housing in the city? 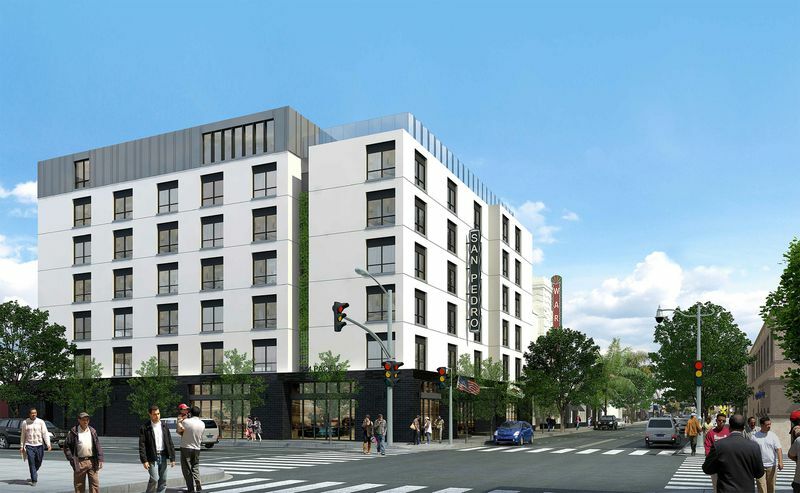 We have 221 housing units slated to go in on the old Cadillac site between Market Street and La Brea Avenue. Of those, 5 to 8 percent is going to be affordable housing. We are in partnership with the county for 100 units that will go in across from the Fairview heights station and 50 of those units will be affordable. We have PATH Villas on Lime Street and that has 40 affordable units. We’re working on a deal now between Thomas Safran and Associates and the Clippers organization for a possible development on Beach Avenue near Hyde Park. It’s all very preliminary right now, but it would be about 90 units, probably about 40 of them affordable. Little did not complete the survey, but his campaign website says he supports requiring apartment developers to include affordable units in their projects and the repeal of Costa Hawkins. The most pressing issue facing the city of Inglewood at this time would be the increase of rent. 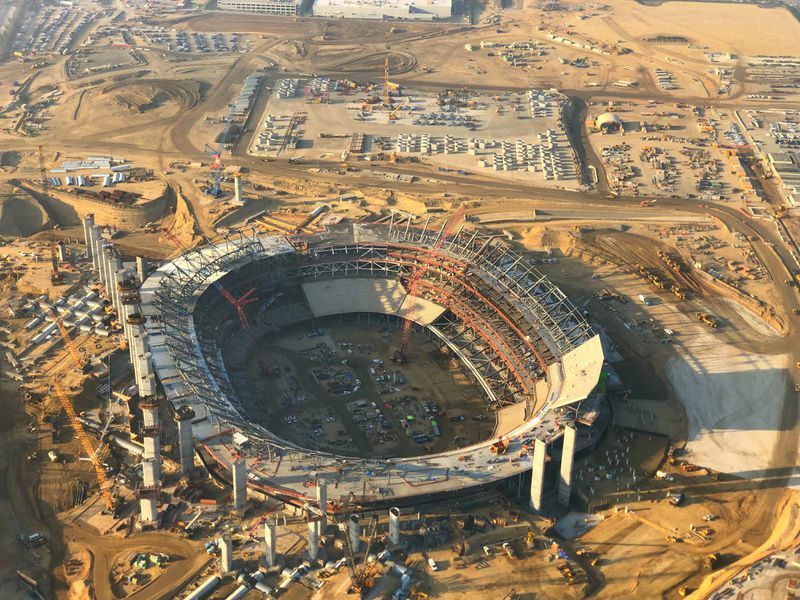 The NFL stadium under construction in Inglewood. I plan to extend the economic benefits of the new NFL stadium to Inglewood residents by reverting the tax revenue back to our schools, small local businesses and homeowners. The city of Inglewood is immersed in culture, diversity, and opportunity which makes it not only a destination city but a model to surrounding cities as well. I believe that without community involvement, proper assessment, consideration of environmental risks, and other cited issues, there is no clear path to support or oppose this matter. In 2004, the city voted against a Walmart being constructed in the city. This is a great example of both the inclusion of community and the need to ensure small businesses stay. As mayor, I will ensure that zoning regulation guidelines are fair and lucrative for the residents of our city. The plan to drive down the cost of renting in Inglewood consists of focusing on stabilizing the median rental cost in an effort to make prices more affordable for Inglewood’s low-income residents. Yes, rent control is an option. The state Department of Housing and Community Development says Inglewood needs to add 567 units of housing affordable to residents earning very low to moderate incomes by 2021. Since 2013, none of these units have been built. How would you create more affordable housing in the city? Unfortunately, our current administration has chosen to neglect the fact that it is impossible to build out poverty and homelessness. With only three years left to fulfill this obligation, we need to begin focusing on new lands to be used for this project. Community inclusion is a must. Ask yourself, is it really serving our community to have city workers earn over six times what the average taxpayer earns? This is money that should be invested into community recreation centers, small business grants, improving the quality of our roads, paying the city’s electricity bills on time, finding numerous other ways to assist our residents, as well as creating a community integration program that ensures everyone can feel at home, feel safe, and thrive in Inglewood. 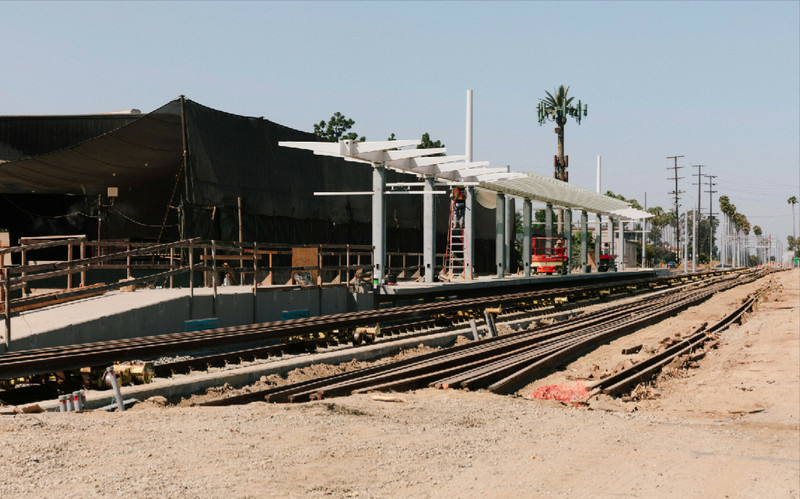 Metro’s Crenshaw Line under construction in Inglewood. By working with the NFL teams to create sports programs for our children, to ensure that more kids participate in sports, and to use sports as a way to combat drug use and crime in Inglewood. I will work to ensure that the city decides what type of development is needed, maximizing the benefits to the people of Inglewood. According to Forbes, last year all NFL teams turned a hefty profit, and the average profit was $95 million. We love having two NFL teams in Inglewood, but that is no reason that a city near bankruptcy should be on the hook for public developments promoted by multi-billion-dollar football teams, when that money could assist our renters, small businesses, property owners and schools. As a small business owner, I support an honest and fair business policy. LA Superior Court Judge Broadbelt ruled that Butts could be found personally liable in Madison Square Garden’s lawsuit, and as taxpayers we are now [possibly] on the hook for his legal fees. Madison Square Garden came to Inglewood with an open mind and promoted community growth, and the mayor allegedly tricked them. Such conduct will drive away potential business owners from Inglewood. Additionally, the increase in the cost of housing is slowly driving away our long-term residents, and we need to enact rent control before discussing additional sports teams coming to Inglewood. We need to place Inglewood residents above the owners of sports teams. I welcome an NBA team to Inglewood, especially the LA Clippers, but the deal has to be fair for all sides: the Clippers, Madison Square Gardens, and most importantly our beloved city. We must aid our small businesses with city grants, ensure the success of these businesses through pursuing state and federal government assistance, enrich these businesses with cultural projects, and oppose the partial repeal of Proposition 13, which could be the final nail in the coffin of small businesses in Inglewood, if passed. Propositions 13 and 98 are the cornerstones of California’s economy and must be respected. I support designating historical small businesses as state landmarks, forming special districts to decrease the tax burden on small businesses where appropriate, and holding quarterly meetings with small business owners to know their issues and be able to assist them. Small businesses are the cornerstone of Inglewood. We must do what it takes to preserve them. There are numerous effective rent control laws in the cities of Los Angeles, Santa Monica, Beverly Hills, and West Hollywood. The City of Inglewood needs to review this legislation and enact rent control laws immediately. If elected, on the very first day in office, my administration will work with Uplift Inglewood and push for rent control laws. There is no excuse for any mayoral administration to side with the special interests, instead of our people, our renters. Hard-working residents of Inglewood should not be evicted simply because they are going through hard times. My administration will also work with local banks and credit unions to ensure that our rent is low, and that renters can pay it. Inglewood is one of the densest cities in America with over 12,000 residents per square mile. 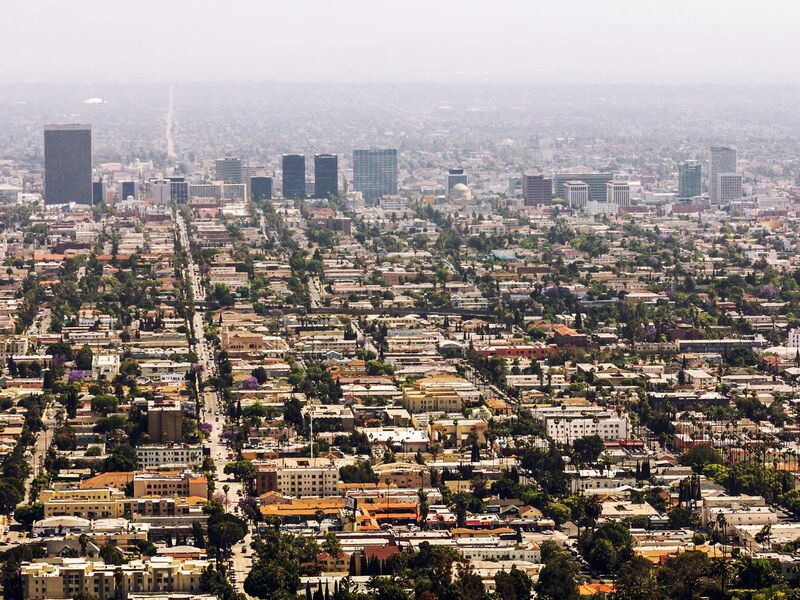 Comparatively, Los Angeles has roughly 8,500. Adding housing and building out the city stresses the resources of our schools, roads, sanitation system, and lessens the value of our current property owners. I am willing to work with the developers to assist a project that can ensure that 567 out of the 2,995 new housing units are dedicated to affordable housing, but we do not need additional housing built in Inglewood to line the pockets of developers. Furthermore, I will create a task force to ensure that the tax revenue from the development is used to hire former veterans to fight crime in Inglewood. — Lucy Guanuna, Bianca Barragan, and Elijah Chiland contributed to this report. Chartwell is now for sale on the open market. It’s listed with Jeff Hyland, Drew Fenton and Gary Gold of Hilton and Hyland; Jade Mills, Joyce Rey, and Alexandra Allen of Coldwell Banker Global Luxury; and Drew Gitlin and Susan Gitlin of Berkshire Hathaway Home Services. The hotel’s designs, by Axis GFA Architecture + Design, attempt to incorporate elements of the Warner Grand and surrounding buildings, such as zig zag banding and chevron patterns. The hotel will also have a neon blade sign, as the theater does. In addition to 80 guest rooms, the structure would also hold a 2,000-square-foot restaurant and a rooftop deck and bar. 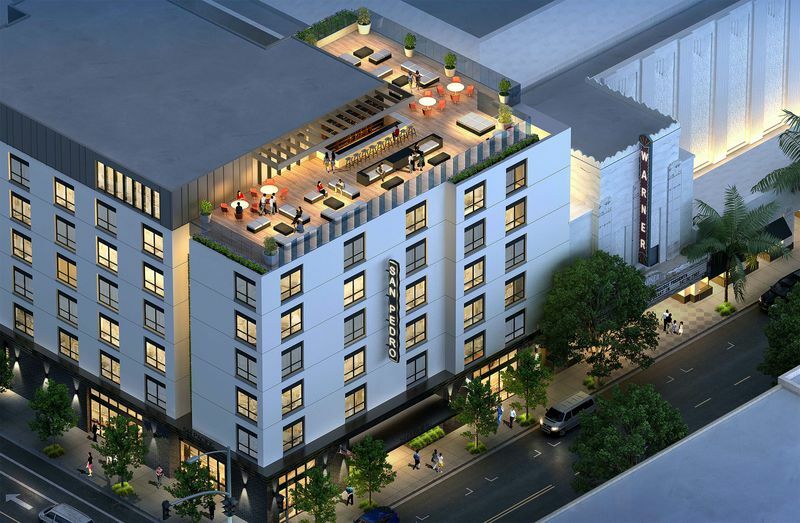 Property records show the parcel is owned by an LLC connected to West Hollywood-based development firm AJ Khair, which was a developer on the recently opened La Peer Hotel on Melrose. 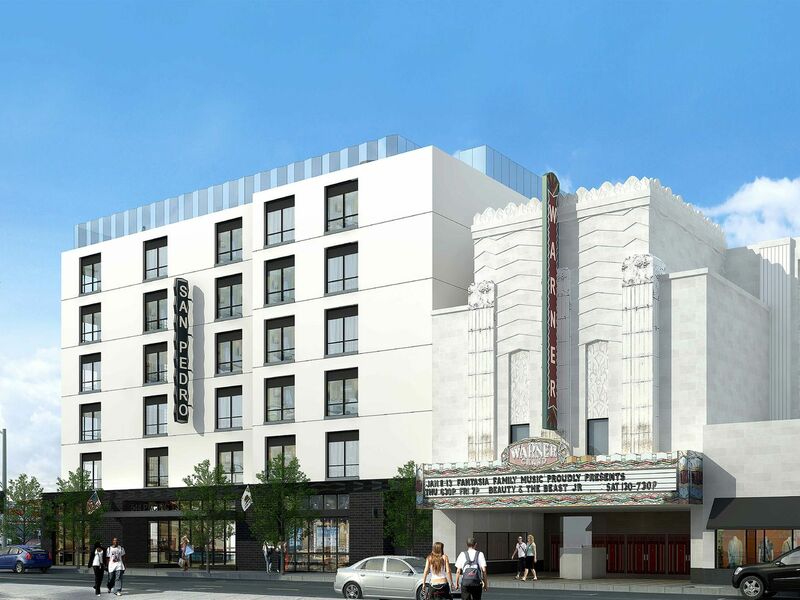 The firm also has a hotel in the works on Wilcox north of Franklin Avenue in Hollywood. 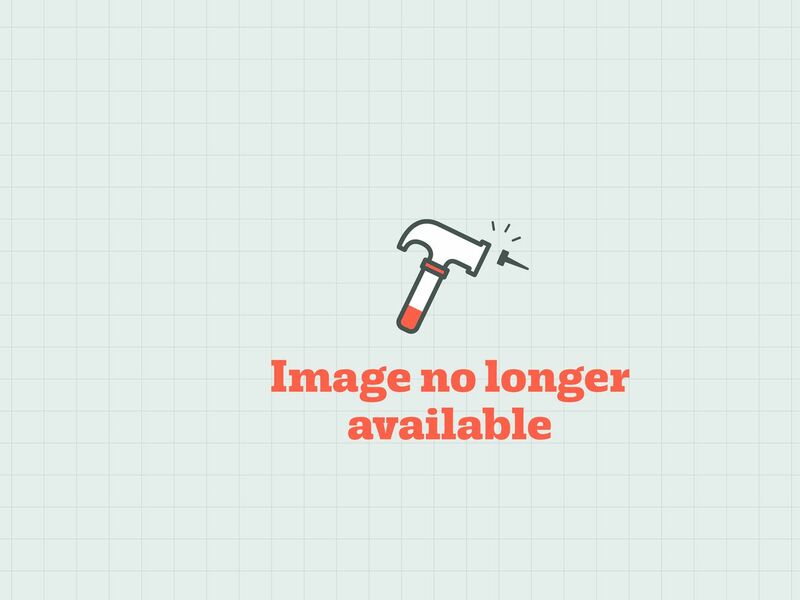 AJ Khair declined to answer questions about the project, and a timeline for the build-out of the hotel has not been announced. The Warner Grand is a landmark movie theater designed by B. Marcus Priteca in what the Los Angeles Conservancy calls a “Classical Moderne” style. The interiors are Art Deco all the way, with Deco tile and lighting fixtures. Like many old movie houses, it went through a series of names and programming changes in the decades since its 1931 opening. It was purchased by the Department of Cultural Affairs in 1996, and is now used as a venue for a variety of events. The lot where the hotel will rise has been vacant since 2015, when a fire destroyed a commercial building on the site, Urbanize LA notes. In Los Angeles, where more than half the city’s renters spend more than 30 percent of their income on rent, local leaders are looking for a way to get more units of housing covered by the city’s rent stabilization ordinance. Right now, the rent control policy, which limits yearly price increases to between 3 and 8 percent, covers roughly 631,000 units across the city. That’s close to 44 percent of all homes and apartments in LA, both rented and occupant-owned. But elected officials want to bring more units under the policy’s fold. In less than two weeks, California voters will weigh in on Proposition 10, a ballot measure that would repeal the Costa Hawkins Rental Housing Act, which limits the ability of cities to place certain units under rent control. Under Costa Hawkins, rent control can only be applied to housing built prior to 1995. In LA, the date is even earlier because the law freezes in place an October 1978 cutoff that was part of the city’s ordinance when the law went into effect. If Proposition 10 passes, LA leaders could move that date up, applying rent control provisions to newer units. The restrictions could also be applied to single-family homes and condos, which are also exempt from rent control under Costa Hawkins. But last week a Los Angeles Times poll found that only 41 percent of likely voters favor the measure, making its success in November uncertain at best. If Proposition 10 fails, Costa Hawkins could still be repealed or restructured by state legislators. But in the meantime, it’s unclear what local officials could do to expand the provisions of LA’s rent control policy to more tenants. “If Costa Hawkins isn’t repealed, this motion will produce no results,” says Zev Yaroslavsky, director of the Los Angeles Initiative at UCLA’s Luskin School of Public Affairs. Yaroslavsky, who sat on the City Council when LA’s rent stabilization ordinance went into effect, argues that Costa Hawkins presents barriers to rent control expansion that would be difficult to surmount. In rare cases, landlords have voluntarily placed apartments under the restrictions of the policy. Last year, the developer of a residential tower in Hollywood agreed to put all 210 of the building’s units under rent control after tenant advocates objected to the project because it would require demolition of an existing complex. Yaroslavsky says the council could use zoning change approvals as “leverage” to get more developers to do this, but that adding rent stabilized units on a “project-by-project basis” wouldn’t adequately address the city’s affordable housing woes. LA officials haven’t clarified how they’ll continue efforts to expand the city’s rent control policy if Proposition 10 fails; the City Council voted 13-1 to endorse the measure Tuesday. The Valley is known for garden-style complexes with their midcentury charms, like this one in Studio City. The sweet Traditional condo building dates to 1955 but the one-bedroom unit up for sale here looks much more 2018. Located more or less on the border between Studio City and Toluca Lake, the ground-floor residence holds hardwood floors and an updated kitchen with granite counters and a tile backsplash. The 741-square-foot dwelling only has one bedroom, but it is a spacious one. The bathroom still retains a few vintage-looking touches, like a mint green sink. There’s even a little outdoor space—a private back patio with a citrus tree and room for lounging. The unit comes with a designated parking space. It’s asking $435,000 with HOA dues of $342.